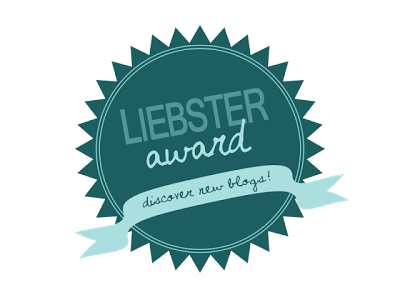 Finally a Liebster award!!! Thank you Bhawya for nominating my blog!!! 1) This is an award passed on to bloggers who have less than 200 followers. A means to identify new blogs and create more friends. 2) Thank the blogger who have passed on this award to you. 3) Answer the questions that the blogger has posted for you. 4) Identify some other new bloggers to whom you would like to pass on this award. 5) Identify some questions that you would like your fellow bloggers to answer. 1) Few words about yourself and your blog? Hi, I am Sweta (but most ppl know/refer me as Oriyarasoi or AuthenticOriyaFood :)..not that I mind). I am a former IT professional and mother to a boisterous 2 year old. It was only after my marriage that I started taking cooking seriously. I did know the basic stuff but that was it. Everytime I would think of a recipe, I had to look it up on the net. But Oriya recipes were hard to come by and i ended up calling my mother or my MIL. That made me start this blog which is mainly focussed on Oriya recipes but I do cover cuisine from other regions as well. 2) Which is your favourite food? Chicken and any rice dish (one pot meals basically). 3) Any dish which you haven't yet prepared but would love to prepare? That is a long list actually. And funnily most of the dishes have name starting from 'Chicken...' . 4) Do you have any obstacles to blogging? How did you overcome them? It was after the birth of my son. Without a proper support system, I hardly had time to eat and sleep. Had to take a long break from blogging at the time. But now that he is growing up and expects a lot of variety in his meals, I am back to blogging with a bang. I know a lot of wonderful cooks so it is rather tough to pick one. 6) What was the first dish you prepared by yourself? Maggie (if you can actually call it a dish). It was sometime in the 6th or 7th standard. 7) The dish which you love to cook and why? Chicken Biriyani. I get the maximum number of requests for it and it is also widely appreciated. 9) Any two recipes which you would like to try from my blog? and Pepper Chicken Gravy here . 10) Some words to budding bloggers? Cooking is an art and takes time to master. So do not lose heart if you are having a bad day in the kitchen. And sometimes it helps to follow your instincts instead of sticking to every word mentioned in the cookbooks. But the most important is 'Taste the food at every step' so that you know how a dish is shaping up. Coming to blogging, since it is a medium to share your/experiences recipes with others, make sure you write it down in a detailed, step by step manner. 9) What was the most romantic meal that you cooked/ordered ? 10) Mention a kitchen disaster that you would like to forget ? 12) Some words to budding bloggers?